Before getting into the explanation for the meaning of an ICO (Initial Currency Offering) we should clarify that, the information is provided by way of general interest and does not, relate to any specific Initial Currency Offering. The Glitzkoin ICO was conducted, from March to June 2018 and was actively supported by the crypto community. More about the Glitzkoin ICO and the GTN token at the bottom of this report. Crypto currencies are not physical coins or paper money but digital currencies known as utility coins or utility tokens. Digital currency values are derived from their ability to make purchases and be traded. An ICO or Initial Currency Offering involves the first issue of crypto coins to various participants. It is generally the first phase of a more detailed and elaborate project that is based on blockchain technology. Should You Buy During An ICO? Crypto community members participate in an ICO for various reasons. Some members seek profits whereas, others could be keen to support the underlying project that it represents. Other considerations include the solution to the problem the ICO intends to address. The experience and expertise of the project team and the technology deployed, can also encourage participation in an Initial Currency Offering. Few ICOs like the one conducted by Glitzkoin, are a prelude to a detailed plan aimed at a specific industry. This project is focused on eliminating the problems seen in the conventional trading of diamonds. The objective is to build a blockchain that supports diamond trade and widens the market scope for diamonds. Always read the White Paper before participating in an ICO. The White Paper is where everything is condensed into one key document and it should be well written and clear to understand. It should also provide insight to the inner workings of the company including the quality and experience of the management and partners highlighting their quality and expertise. The White Paper should explain, at the very least, the underlying problem that the project seeks to address. It is also necessary for the paper to explain how, the utility coins or tokens can be used. The document published by Glitzkoin clearly discloses the weak points in the diamond trading process. The implementation of a diamond blockchain will bring a host of advantages, transparency and wider market reach are some of the benefits. Make sure to read this important document and understand it. This information can be utilized to compare with similar ICOs. As the world’s first diamond blockchain to be promoted by a diamond expert, the Glitzkoin ICO was conducted from March to June 2018. The GTN token was priced in the $0.15 to $0.20 range during the ICO. With its well defined project objectives, it was no surprise that the ICO attracted strong participation from the crypto community. 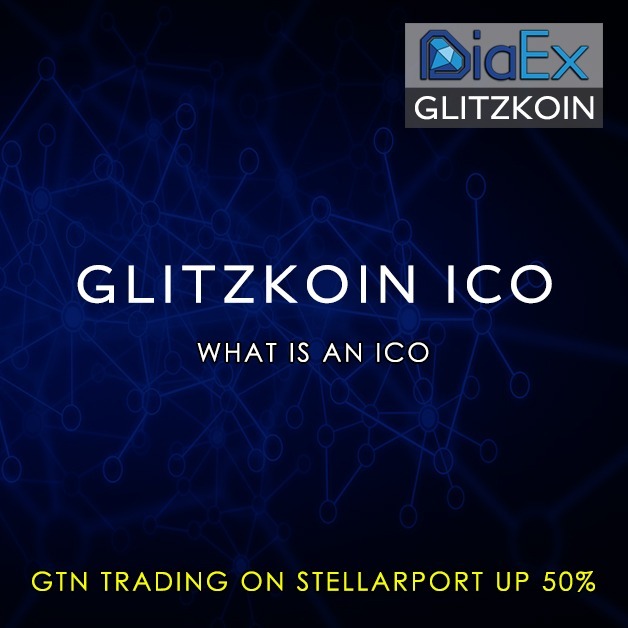 The Glitzkoin GTN token was listed on the Stellarport exchange in July 2018. Seasoned crypto traders continued their support for the project, this ensured that the price of the GTN token hovered around the ICO closing price. The token maintained a price range of $0.18 to $0.22 until October 2018. This at a time when most cryptos launched around the same time, lost as much as 70% of their ICO value in the first few weeks of being traded. The crypto markets ended 2018 on a note that, most crypto enthusiasts would best like to forget. Giants like BTC and ETH tanked epic losses and lost as much as 55% to 70% of their value. Glitzkoin had a totally different story to tell, the GTN token moved against the tide and notched up some impressive numbers. Moving out of its comfort zone in the $0.20 range, the GTN token touched the $0.30 level. A handsome gain of 50% when compared to its ICO closing price ($0.20). While the markets remained subdued through the early part of 2019, the Glitzkoin GTN token managed to maintain its price level without much effort. Now a speedy wrap up of the Glitzkoin project and plans. The project includes a comprehensive diamond trading platform – DiaEx. Traders located at any point on the globe and irrespective of their size, can operate at a B2B or B2C level on DiaEx. The Glitzkoin GTN token is the designated mode of payment on the platform. The trading platform is scheduled to be fully functional in the first half of 2019. The management is keen to increase usage of the crypto token, negotiations are on to have the GTN token accepted as a mode of payment in a range of businesses. The partnership between the online ticketing giant Myticket.asia and Glitzkoin, was announced in early 2019. As per this arrangement, the GTN token would be an accepted mode of payment on the ticketing portal.